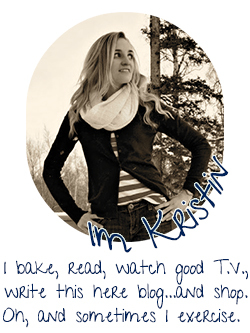 I've really been meaning to join in on some of those challenges I see out in blogland. There was a no-spend challenge but I knew that probably wouldn't work out well because there's a package sitting on the doorstep almost every day when I get home. So I, mentally, set my own goals for the fall season without actually telling anyone about them. If that's not a recipe for success, I don't know what is. I think I originally set 4 or 5, but I didn't meet all of them. These are the two where I was able to grant myself a shining star of success. 1. Stop buying pre-popped popcorn. There is nothing that will reel me in faster than a bag of pre-popped kettle corn. I was spending at least $6 a week on this stuff. Hot, microwaved popcorn doesn't actually hold the same draw for me. We also didn't have a microwave in this house for the first 4 months we lived here so microwaved-anything wasn't an option. I kept Popcorn Indiana in business. Another favorite was Boom Chicka Pop. That stuff is all organic so it's more like $4 a bag. I stopped cold turkey the last week of September and haven't bought a bag since. This addiction was a tough one to break. I'd be holding onto since March-ish when my friend introduced me to the product. I think I'm good now though. I hate the Wal-mart. We all agree on this, I think. After a particularly terrible trip there during the first week of September, in which a rainstorm soaked my groceries on the way to the car, I said ENOUGH. That was over two months ago, and I haven't been back since. I think I've actually become a happier human being because of it. Also, this directly correlates to goal #1 up there because one of the only places around here to buy my beloved kettle corn is Wal-mart. Two birds, one stone. Have you been successful at setting and achieving any goals this fall? Victory feels good, no matter the importance. Right? LOL!!! Good for you on both accounts! Pre-popped popcorn...pretty much any brand...was my guilty pleasure snack in the US. I made a rule to only buy it for a picnic or a party because otherwise I would eat it all by myself! trader joes has this.. puffy corn stuff that i just love. i eat the whole bag in one sitting, so no corn puffs for me. we rarely go to walmart, thank goodness. i think maybe twice or three times a year, max. last time i went, i came out to a brand new dent in my car. RAGE. OMG I can't wait for a time that I can actually set the "no walmart" goal. I can't do it here because I'd be screwed. We have no other choice. But someday...someday. I think I stepped in a walmart twice a year when we lived in Charlotte--and like you--I was just a happier human being haha! I am right there with WalMart. I haven't even looked up the closest one since we moved (and we also have a Target right around the corner, so who needs it?!). I loooove pre-popped popcorn. 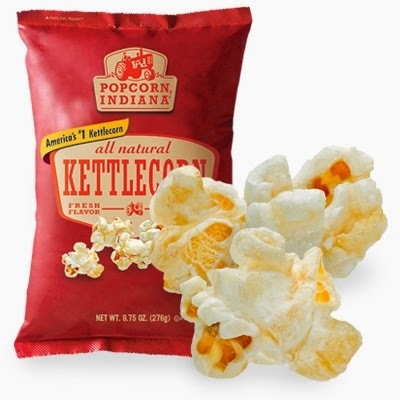 As silly as it sounds, I don't like pre-popped kettle corn partially because it makes your whole house smell (even if you don't burn it) for days - way more than regular popcorn. I'm actually not a huge fan of warm microwave popcorn, either - or movie popcorn. Pre-popped/bagged all the way. Maybe it's just me, but I don't understand the gigantic hatred of Walmart. Maybe because I don't have that OR any other options and I'm just forgetting how bad it really is, or maybe I really just don't mind it that much...but they're cheap, and they have a lot of stuff, and both those things are worth the hassle to me. The chaotic layout of Walmart and small aisles are what kill it for me. It seems like crap is EVERYWHERE and not in nice order. I don't do well in chaos. Walmart is basically the worst. My husband and I were talking the other day and I told him I'd rather drive 20 minutes out of the way to go to Target when we need a whole bunch of house stuff because Walmart gives me all the rage. Congrats on the popcorn goal! I've had the Boom Chicka Pop and it is some good stuff. I don't like microwave popcorn, either, and now I'm on a kick where I want a popcorn popper. Good for you!!! I try to be good about setting and achieving goals but sometimes it's hard. Hey, only we know what goals are right for us :) Mmm popcorn! I hate Walmart and avoid that place at all costs. Sometimes you can't make me go in one, no matter the draw! Months go by between my visits, and each time I go in...I am quickly reminded why I don't ever go there. I can't avoid Walmart because I can't afford the grocery prices at other places around here. Ughhhhhhh. Good for you though! 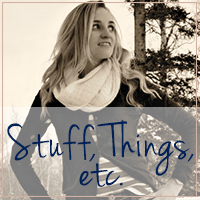 :) Tips for cheaper shopping that doesn't involve Walmart? I am paying more for my groceries, but my sanity is in tact by staying away from Wal Mart. In Walmart's defense it was the rain, not them. Still, I agree. Try dealing with my store. Practically none of the employees speak English. Oooof I loathe Wal-Mart. And yet, somehow I always seem to find myself there for those incomparable deals...and I hate it! Blergh...I must try to stay away!